Cold, ruthless, deadly, the myth of Lady Macbeth looms large. But behind the villainous portrait stands a real woman. Blood Queen is her story and here is a little bit about how I came to tell it. 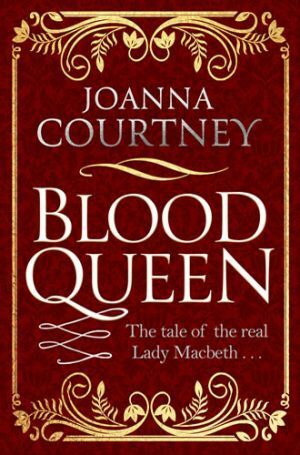 I love a good Shakespeare play and I’m especially partial to a nice, meaty tragedy so I have always enjoyed Macbeth but it was only as I was researching eleventh century history for my Queens of the Conquest series that I realised that Macbeth and, indeed, his much-reviled wife Lady Macbeth, were real rulers. 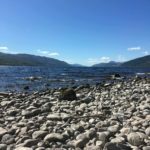 Not only that but they ruled for somewhere between 15 and 17 years (records from that far back are rarely accurate) – an astonishingly long reign in a period of Scottish history in which the norm was more like 5 years. Not only that, but I found out that they were rich, forward-thinking and secure enough to travel to no less a city than Rome (where Macbeth is recorded to have liberally thrown golden coins to the poor) and my attention was very much caught. As usual for me, although I was interested in Macbeth, I was intrigued by his wife, a lady recorded as Gruoch, a name I have softened to Cora for modern readers. What especially caught my attention was the fact that she appears to have held at least as much of the royal line as her husband. 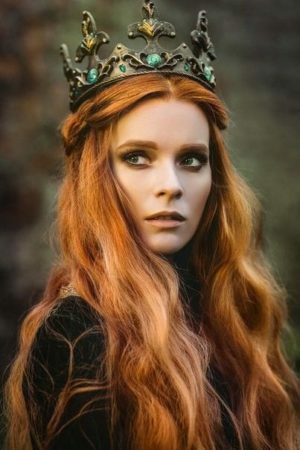 Not only that but she seems to have been crowned as queen regnant rather than just queen consort (ie with an equal share in power) and to have taken a strong role in the rule of Scotland – or Alba as it was then known. Her son was made heir from an early point despite the fact that he was not actually Macbeth’s son but that of his cousin, a man he burned in his own feasting house before taking Cora as his wife. They had no children of their own but Macbeth seems to have embraced his stepson as his own and to have fought with him in defence of their line – all details that suggested a fascinating personal history. So how did they take the throne? Quite simply, by right as royal candidates. 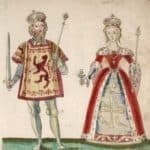 Scotland at the time had a policy of alternate succession in which a capable male from one of the two lines of inheritance from the two sons of Kenneth MacAlpin (Pictish ruler in the early 800s, credited as being the first ‘King of Scotland’) took turns to rule. This was in theory to guarantee a strong ruler at all points but in fact led to a great deal of murderous activity by young men keen to seize power. Macbeth was far from the only Scottish king to take his throne by murdering the previous incumbent and although he did, indeed, kill Duncan it was in fair and open battle. What’s more, Duncan’s succession from his powerful and dictatorial grandfather Malcolm II, had deliberately broken the law of alternate succession and Macbeth was considered by many as the rightful ruler – and backed in battle as a result. The more I read, the more I felt that this true story of two of Shakespeare’s most famous characters had to be told. Shakespeare was (obviously) an arch-dramatist and had an eye not so much for the truth of a story as its shock value. And quite right! He took the core details of the Macbeth story – the killing of Duncan, his son Malcolm’s flight and his eventual return to reclaim the throne – and concertina-ed them into a very short period of time for maximum impact. 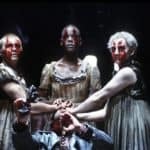 Adding in a handful of ghosts and witches also helped the drama and it is a wonderful play but it doesn’t do the real Macbeth and Lady Macbeth very many favours! I wanted to put the historical record straight and, at the same time, tell an equally dramatic tale. My research soon turned up another very interesting woman in this period. King Duncan’s wife was the sister of Earl Siward of Northumbria, a key figure in the pre-1066 court of Edward the Confessor. A Dane by birth, he’d come to England as a poor solider in King Cnut’s guard, presumably bringing his sister along with him, and had risen to the rank of earl by the dint of loyal and successful service. King Malcolm II of Scotland clearly spotted the potential of such an ally and his sister, Sibyll, was sought out as a worthy consort for the grandson he intended for the throne. Unfortunately, Duncan (who was not the old man of Shakespeare’s play but a youth of about the same age as Macbeth) was a rather weak king and it did not take the stronger and more popular Macbeth long to overcome him, leaving Sibyll to flee with her two sons, Malcolm and Donald. It seems that they stuck around in Scotland for some time, at great danger to themselves, before finally fleeing back to Earl Siward’s protection in Northumbria to prepare to reclaim Scotland. Earl Siward and his son rode with Malcolm in the first attack and it seemed clear to me that his mother fought all the way (politically and emotionally if not with a sword) for the rights of her child. So that gave me two strong mothers, both backing their sons to rule Scotland. When one rose, the other must inevitably fall and Blood Queen explores the bloody see-saw of power in a rich and turbulent time through the lives of these two fascinating women. I really hope readers enjoy it.